﻿ MatheMagis Singapore Maths » Blog Archive » Hooray for Holiday! HOORAY for Holiday! ❤️ Let us welcome the most wonderful time of the year with a BANG! ? 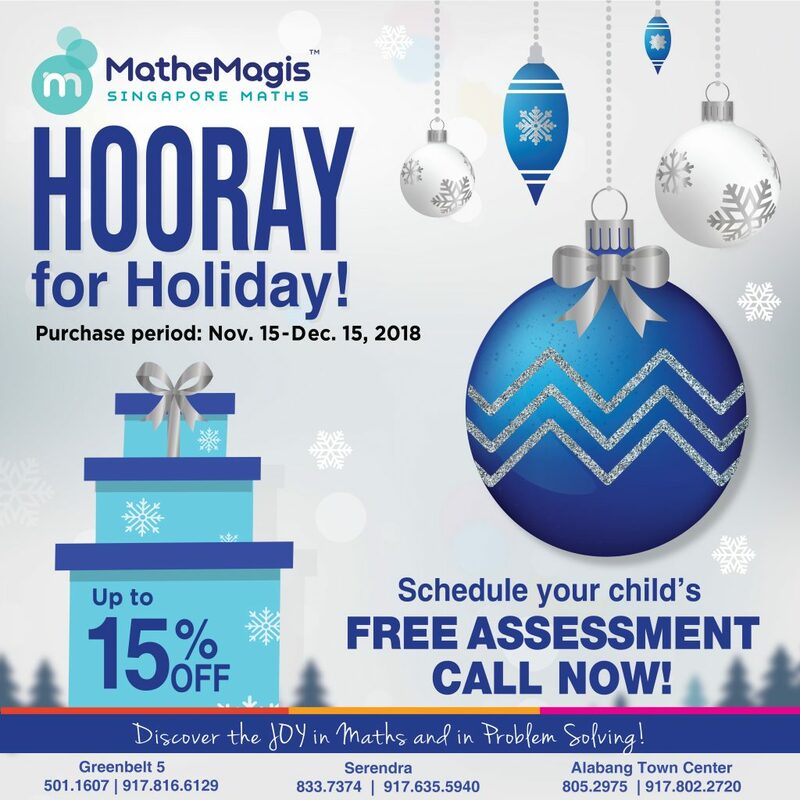 MatheMagis Singapore Maths is giving away UP TO 15% DISCOUNT! To learn more about our Holiday promo beginning TODAY and to schedule your child’s FREE ASSESSMENT…Call now! ? Posted in Uncategorized | Comments Off on Hooray for Holiday!